The Sheikh Zayed Grand Mosque is an architectural wonder. Standing tall in all its glory, it was built in the honor of Sheikh Zayed bin Sultan Al Nahyan; the founder of UAE. The mosque is the largest in the UAE, while one of the largest in the entire world. It can accommodate around 40,000 worshippers. If you are an history and art lover, this is definitely your heaven. Sheikh Zayed Mosque is definitely the biggest tourist attraction in Abu Dhabi. Falconry is the national bird of UAE. The Abu Dhabi Falcon Hospital is a great place to witness these legendary birds. It is basically a Falcon Hospital as well as a museum where these birds are allowed to fly freely. The guided tour of the space can help you learn much deeper information regarding the birds and their favourite sports in the deserts. Al Ain is a UNESCO world heritage city with beautiful architectural forts. The city is surrounded by 7 oases. The Al Qattara fort in the city is an art gallery and center offering classes and exhibiting numerous art pieces including paintings, calligraphy, pottery, and music. It is a must-see in the city and an artist’s paradise. If you are an artist and lover of arts, you will not regret visiting the city and fort at all. The Arabian Wildlife Park comprising more than half of the Siri Bana Yas Island. There are more than 10000 animals roaming freely around the desert. You can see these animals especially giraffes at eye levels. The guided tour is given in a jeep to group of people. The guide keeps giving insights regarding the animals so your knowledge increases quite a lot as well. Abu Dhabi is the best place to enjoy the culture and tradition of the Arabs. They show great hospitality to the visitors and you will definitely enjoy to be there and experience the rich culture. Abu Dhabi is a great place to choose as your travel destination. You can even get the visa change without exit to elongate your stay as much as you want. 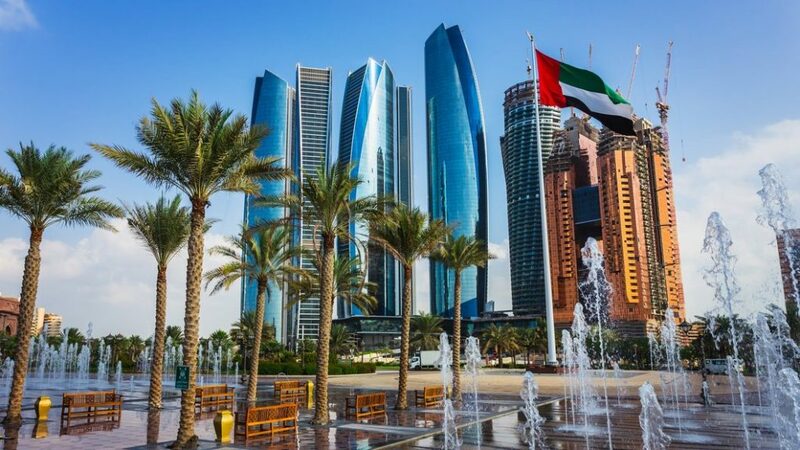 If you are planning to travel soon, go to Abu Dhabi for sure and you will not regret your decision once you reach there. Do not miss the fun and exposure that awaits you in Abu Dhabi.